Bread bakes inside circular ovens at Akbar Zareh's bakery in the city of Yazd, Iran. (Akbar Zareh is featured in the book What I Eat: Around the World in 80 Diets.) The son of a baker, Zareh began working full-time at age 10 and regrets that he didn't attend school and learn how to read and write. By working 10 hours a day, every day of the week, he has sent his four children to school so they don't have to toil as hard as he does. The product of his daily labor is something to savor?his fresh, hot loaves are as mouthwatering and tasty as any in the world. 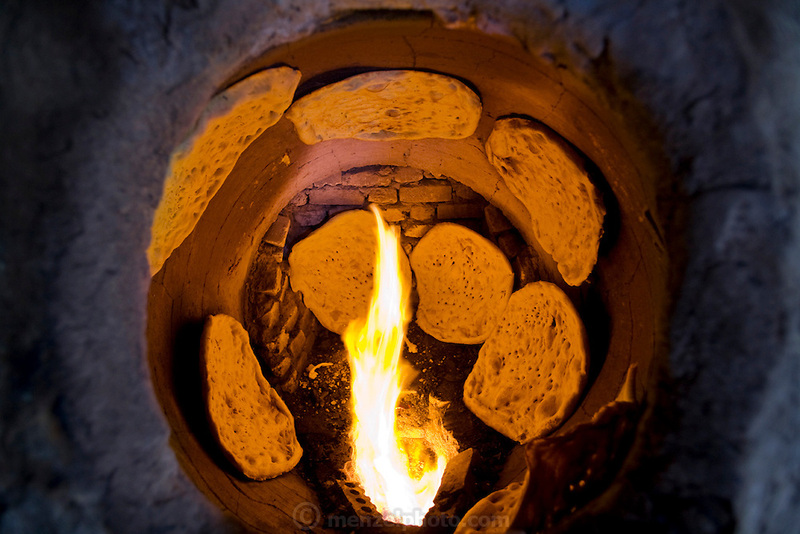 After baking in the tandoor clay ovens (at left), most of the rounds of fresh bread are dried and broken into bits.